Many of our lawyers and staff ride motorcycles. 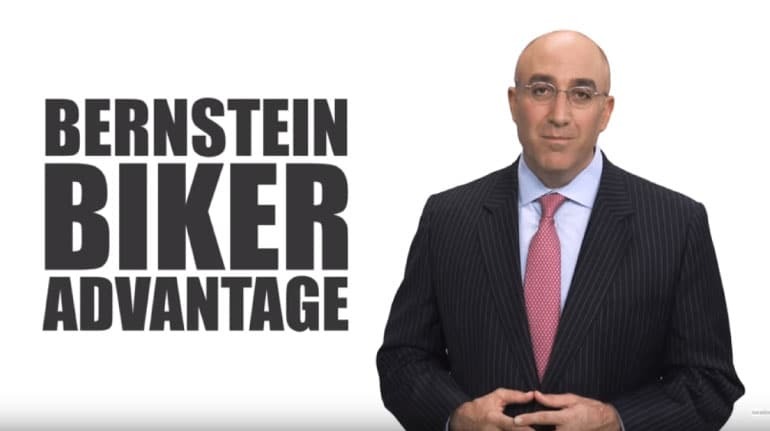 We take these cases personally and call our work for bikers the Bernstein Biker Advantage. Accidents involving motorcycles can be particularly serious because there’s much less protection than any other motor vehicle. Most motorcyclists use every possible safety precaution. However, a mistake by another driver may put even the most careful and skilled motorcyclist at risk of life-threatening injury. Michigan motorcycle deaths rose 23 percent from 112 to 138 between 2014 and 2015, according to AAA. The auto club reports that Michigan ranks 10th highest in the Nation for the number of motorcycle fatalities. 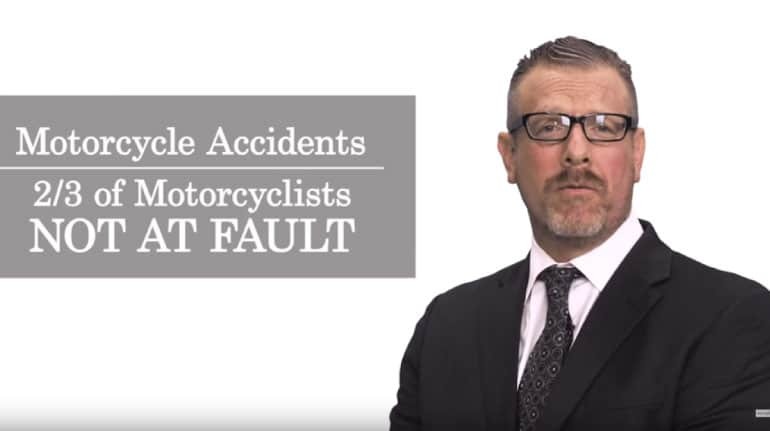 The Michigan No-Fault Act—Does It Apply to Motorcycle Riders? Michigan is a “no-fault” state for automobile accidents. Every driver of a motor vehicle must purchase no-fault insurance. The insurance includes personal injury protection, property protection, and residual liability insurance. This insurance basically protects you and anyone you hit (though there are certain exceptions) by paying for necessary medical bills and a portion of your lost wages. When it comes to motorcycle accidents, however, the Michigan No-Fault Act does not automatically apply because a motorcycle is not considered a motor vehicle according to Michigan law. Luckily, motorcycle riders are able to purchase motorcycle liability insurance, which can be used in the event a motorcycle rider is injured on the roadway. How Do I Know If I Am Entitled to No-Fault Benefits After a Motorcycle Accident? If you were injured while riding a motorcycle due to a collision with a moving motor vehicle, and the driver of the motor vehicle was at fault for the accident—as long as you have motorcycle insurance—you will be covered for no-fault benefits. These benefits include repairing damage to the motorcycle, as well as medical bills and a portion of your lost wages. Injuries resulting from motorcycle accidents fall under the standard three-year statute of limitations that applies to all personal injury claims in Michigan. This means that you have exactly three years from the date of the accident to file your personal injury claim. If you do not file it in time, you may lose your right to compensation for your injuries. In the event there was a death due to the motorcycle accident, the three-year deadline starts on the day that person died for a wrongful death claim. 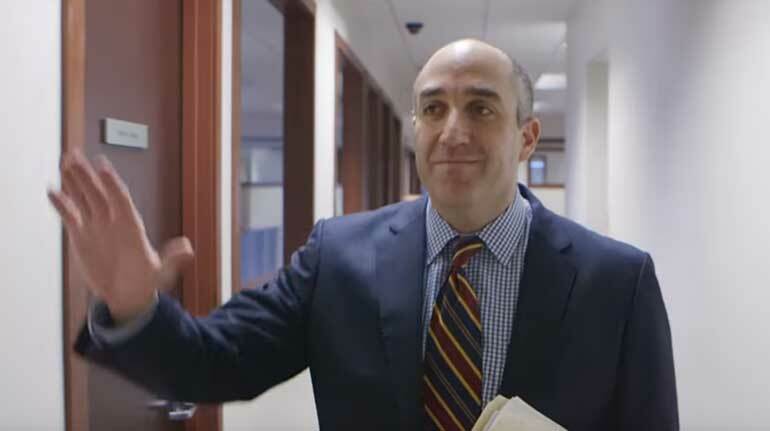 There are certain exceptions to these rules, however, so it is always a good idea to speak with a knowledgeable personal injury attorney to discuss the particular facts in your case. Contact us before you talk to the insurance company. Signing the wrong papers could mean you have settled for less than you deserve. How are Motorcycles Treated Under No-Fault? Motorcycles, which are defined as having an engine displacement of more than 50 cubic centimeters, are not considered motor vehicles under Michigan no-fault law, and are not entitled to the same standard coverages and protections as passenger vehicles. A typical motorcycle insurance policy includes liability coverage for property damage and bodily injury only. It does not provide unlimited personal injury protection coverage, including payment of medical bills and rehabilitation, which is automatically included in a no-fault auto policy for a typical motor vehicle. A driver or passenger who has been in an accident looks to his/her own insurance policy for no-fault benefits. The law is not the same for motorcyclists*. The Michigan Department of Motor Vehicles requires the following minimums for motorcycle insurance policies: $20,000 of coverage for bodily injury or death involving one person in a single accident; $40,000 of coverage for bodily injury or death involving bodily injuries or death involving more than one person in a single accident; and $10,000 of property damage in a single accident. These are minimum requirements only, and additional amounts may be purchased. No-fault insurance (frequently known as motorcycle PIP coverage) can also be added to a motorcycle policy in $5,000 increments. Very few motorcyclists exercise the option to add this type of coverage. Actual physical contact between the motorcycle and motor vehicle is not required, as long as operation of the motor vehicle was a significant factor causing injury to the motorcyclist. If a motorcyclist sustains injury as a result of an accident with a non-motor vehicle, such as a stationary object or another motorcycle, no-fault benefits are not recoverable. If you have been in an accident, contact your insurance company. Information provided by you or the police report will help your insurance company determine who is responsible for paying your no-fault benefits. *The term “motorcyclist” refers to either the driver or the passenger on a motorcycle. **The Michigan Assigned Claims Facility (MACF) provides assistance to people injured in an accident involving a motor vehicle when there is no automobile insurance available. What if my accident was caused by a road in disrepair? 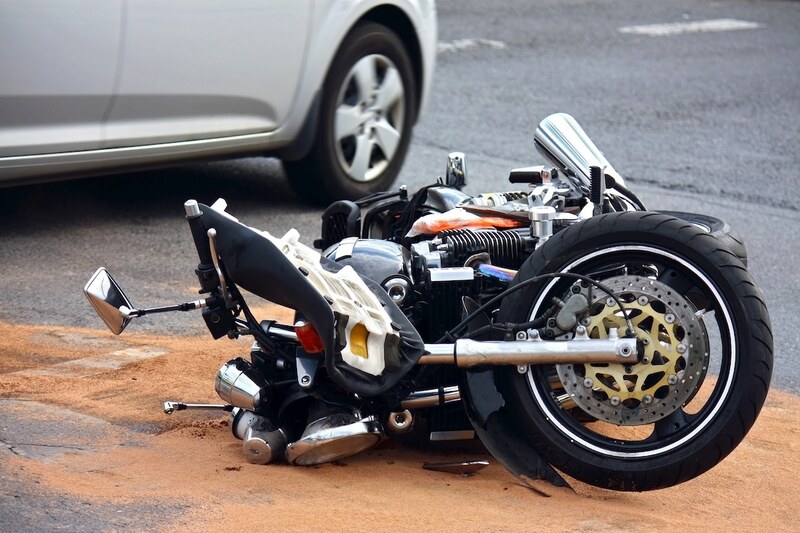 Some motorcycle accidents are not caused by negligent motorists, but instead result from a roadway defect, due to faulty maintenance or repair of the pavement. In some cases, an injured motorcyclist can make a claim against the state, county, or local government agency responsible for the roadway. These cases involve complicated legal and factual issues. The time limit to file these claims is much less than the time for pursing other legal actions. Contact our office by phone or web form immediately to make sure you get started before time runs out. What Commonly Causes Motorcycle Accidents? Motorcycles make up only 3% of registered vehicles in the United States. However, trauma as a result of a motorcycle crash is disproportionate to this number. Drivers of passenger cars, who are focused on like-size and larger vehicles, often do not watch for motorcycles, which fit easily into their blind spots. Also, without the protection of a metal frame, motorcyclists are more vulnerable to injury and/or death than their passenger car counterparts. According to the National Highway Traffic Safety Administration (NHTSA), there were approximately 8.4 million motorcycles on the road in 2013. Of these, 4,668 motorcyclists died, and 88,000 motorcyclists were injured in crashes. Of the 4,668 fatalities, 94% were riders and 6% were passengers. 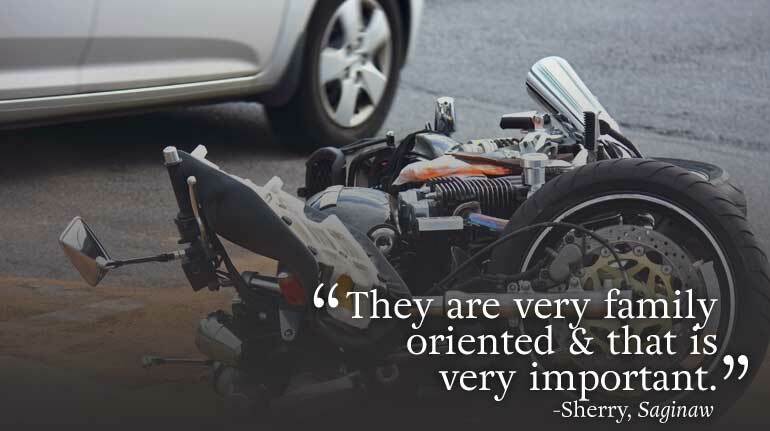 Motorcyclists accounted for 14% of all traffic fatalities, and 4% of those injured in crashes. Motorcyclists were 26 times more likely to die and 5 times more likely to become injured in a crash than passenger car occupants. Michigan had the 11th highest number of motorcycle fatalities in 2013. The class of motor vehicles known as motorcycles includes mopeds, 2-3 wheeled motorcycles, off-road motorcycles, scooters, mini bikes, and pocket bikes. 93% of motorcycle fatalities involved 2-wheeled motorcycles. 34% of fatal accidents were caused by speeding, a blood-alcohol concentration (BAC) of 0.08 was detected in 28% of fatalities, and 22% involved fixed objects. Education and preparation are the best ways to reduce one’s odds of becoming injured in a crash. Completing a rider safety course, wearing safety gear, and increasing visibility by wearing bright colors can help to avoid an accident. 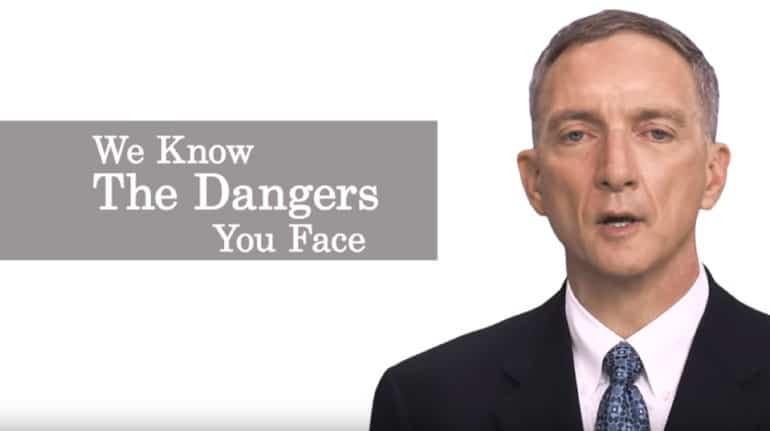 As a motorcyclist, remember that hypervigilance is vital to your life and safety on the road. If my motorcycle was uninsured, can I still sue the driver who hit me? Yes. Michigan law treats motorcyclists differently than individuals driving their own automobiles without insurance. An injured motorcyclist who did not have insurance on his or her bike may still bring a lawsuit against the motor vehicle driver who caused the accident. While the Michigan No-Fault law permits an uninsured motorcyclist to pursue a claim for pain and suffering, several complex issues with regard to medical bills must be addressed. A different set of issues impact the rights of a motorcycle passenger. 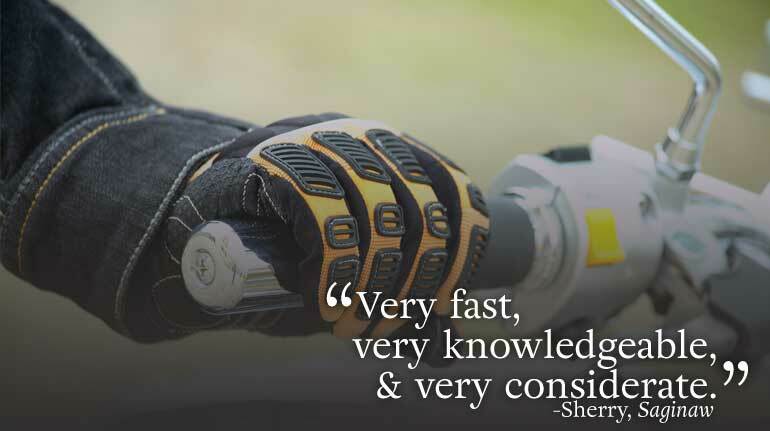 For these reasons, contact us today to discuss the unique facts related to your bike accident. What is Michigan’s Helmet Law? Only 19 states in America require all motorcyclists to wear helmets. Another 28 states require helmets for some motorcyclists, usually those under the age of 18 years old. Illinois, Iowa, and New Hampshire have no helmet laws at all! The wearing of a helmet was formerly mandatory for all motorcyclists in Michigan. As of April 12, 2012, Michigan law changed so that not all motorcyclists are longer required to wear helmets. The relatively new law, however, does not allow unfettered helmet-less riding. In light of these statistics, whether you are wearing a helmet or not, it is important to always put safety first when driving! Michigan No-Fault law treats bikers differently than other motorists. 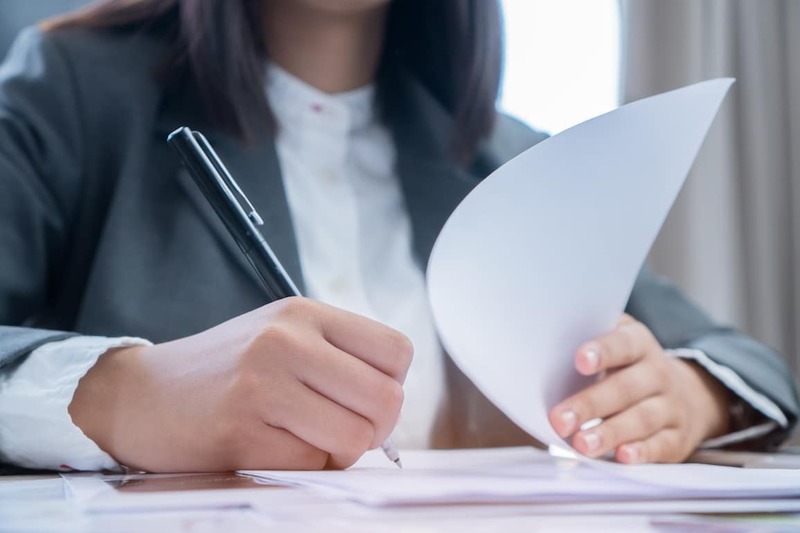 As a result, the order of priority used to determined the correct insurance company responsible for coverage of no-fault benefits is significantly different than the method used for other motor vehicle accidents. The Michigan Assigned Claims Facility. This order is different than that for a car or truck accident victim because Michigan law does not treat motorcycles the same as cars and trucks. Under Michigan No-Fault law, an injured party is eligible for two types of benefits: FIRST party benefits, which are derived from one’s own insurance company, and THIRD party benefits, which are usually derived from either the at-fault driver or vehicle’s insurance company. First party benefits include personal injury protection (PIP) and property protection (PPI) benefits. up to $20/day in replacement services, which pays for routine household services, such as household chores and yard work. Up to $1,000,000 for damage to other people’s property or properly parked vehicles. 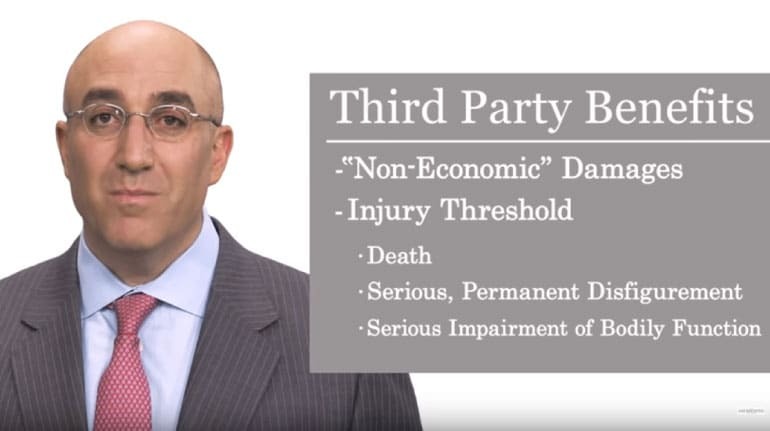 Third party benefits include bodily injury and property damage. Compensation for death, serious impairment of bodily function, or permanent disfigurement. The amount of compensation payable by the insurance company is confined to the limits of the legally responsible person’s policy. The minimum limit is $20,000 per person/$40,000 per accident; however, depending on the insured’s policy, additional coverage may be available. An amount in excess of the policy limits may be awarded by a court of law, in which case the defendant would be personally responsible for the uninsured amount. Property damage is covered up to $1,000 if you are 50% or more at fault in an accident which causes damage to another person’s car that is not covered by insurance. No-fault coverage extends to every person living in the same house as the primary insured. PIP benefits will be paid even when a household member is a pedestrian or a passenger in a non-household member’s car. PIP benefits also extend to anyone who is injured as a passenger in the insured’s vehicle and does have a no-fault policy of his/her own. When did No-Fault Insurance become Law? The Michigan No-Fault Automobile Insurance Law took effect on October 01, 1973 under Governor William Milliken. 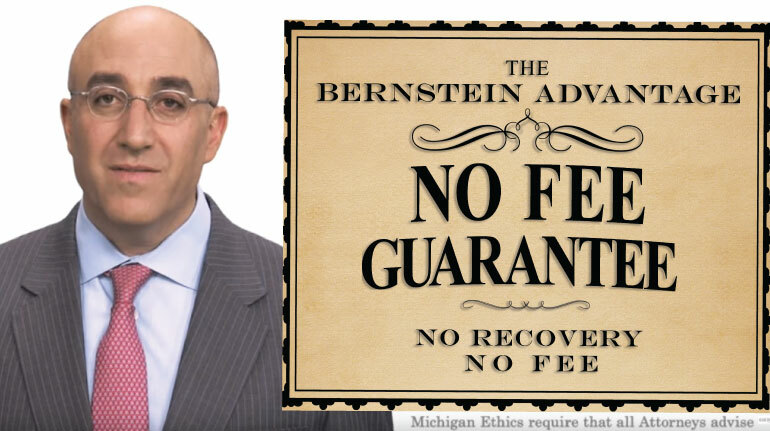 Prior to this date, Michigan operated under a tort liability system, in which fault in an accident had to be determined before benefits could be paid. The tort system was cumbersome and inefficient and gave rise to excessive legal and administrative fees. Additionally, most at-fault parties had insufficient insurance to cover the injured party’s damages, which resulted in under-compensation. Under current Michigan law, no-fault insurance is required in order to register a vehicle. Payments for collision damage, medical treatment, and wage loss are administered by one’s own insurance carrier. Adoption of no-fault law resulted in an increase in benefits paid to the injured person, more efficient distribution of payments, and reduced premiums for legal and administrative costs. Disputes over who is at fault are irrelevant when making a claim for benefits. 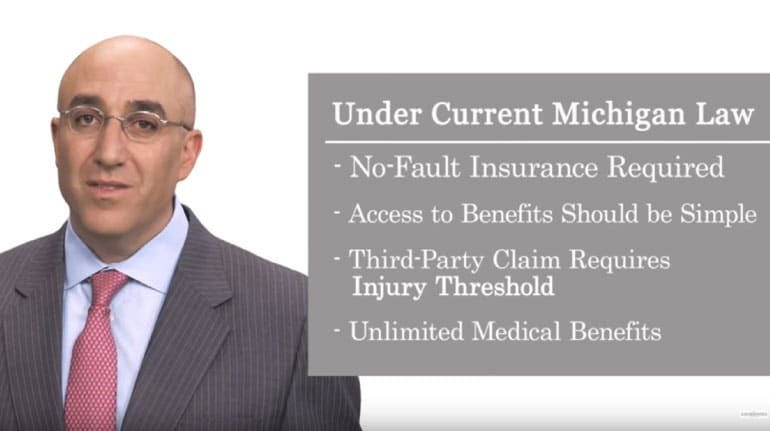 In exchange for this uncomplicated access to no-fault benefits, the injured party can sue only in the case of serious injury, disfigurement, or death. There have been many challenges to the Michigan No-Fault law, on both the judicial and legislative levels. Although the law has been tweaked in multiple areas, its main structure has prevailed since implementation nearly 42 years ago. They are very family oriented & that is very important. Very fast, very knowledgeable, & very considerate. 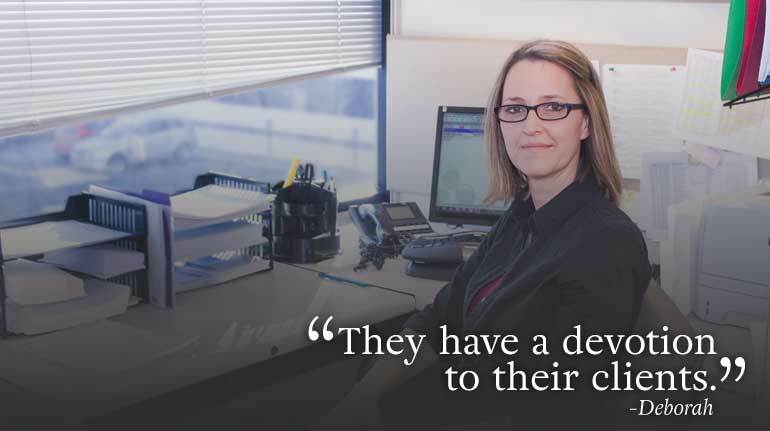 They have a devotion to their clients.